Elephant seals are large, oceangoing seals in the genus Mirounga. 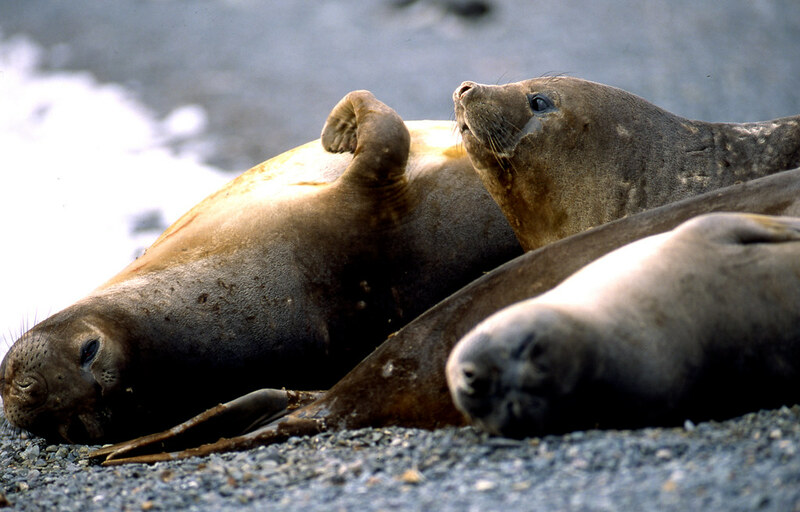 The two species, the northern elephant seal (M. angustirostris) and the southern elephant seal (M. leonina), both were hunted to the brink of extinction by the end of the 19th century, but numbers have since recovered. 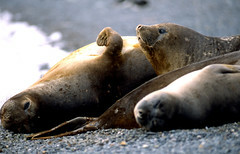 The southern elephant seal is found in the Southern Hemisphere on islands such as South Georgia and Macquarie Island, and on the coasts of New Zealand, South Africa, and Argentina in the Peninsula Valdés, which is the fourth-largest elephant seal colony in the world.